Cracker gave us her mileage from yesterday which took us around Regent’s Park to our meeting point. There should then have been five for the final walk, but poor Salvo and Izzy were struck down with gastro-enteritis overnight and were not well enough to travel to London. After all their hard work it was very sad they couldn’t be there and we send them our best wishes for a speedy recovery. 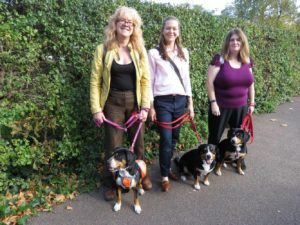 That meant Sybil, Bella and Wilma were our representatives and walked the final stage from Regent’s Part to the Embassy on a beautiful sunny autumn day. the Embassy staff who helped to set this up, it was a great day for us and we were delighted to present the Ambassador with a picture from the UK Club to mark the occasion. Thank you to all the dogs who have taken part in the walk and to all our supporters. We are still taking donations at https://www.justgiving.com/crowdfunding/walkforheidi so please do send in any sponsorship money or donations. It will all go to enable Heidi to have the final operation she needs. 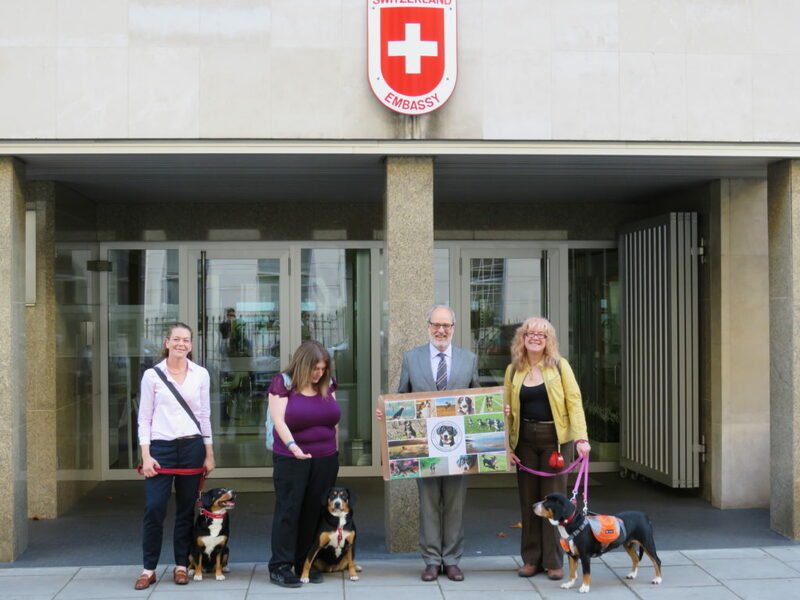 Copyright © 2019 Entlebucher Mountain Dog Club of Great Britain. Powered by WordPress. Theme: Accelerate by ThemeGrill.